Castello di Gargonza a beautiful castle in Tuscany between Siena and Arezzo. 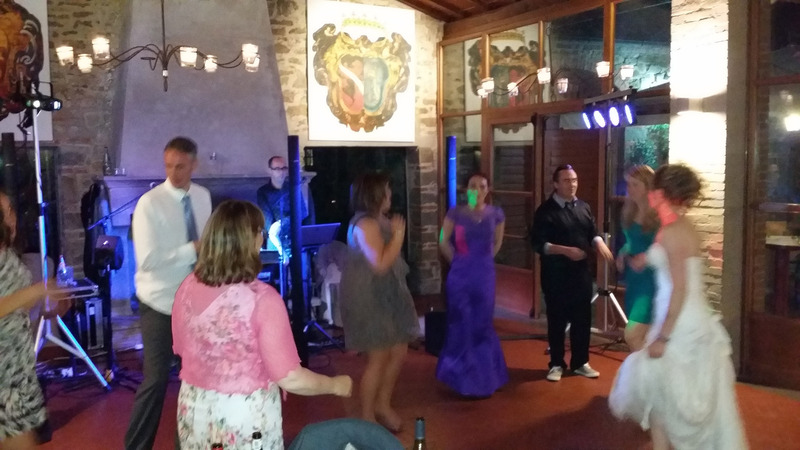 Music entertainment by Guty & Simone, wedding musicians in Tuscany for wedding party and all the events, live during an English wedding. Below a shot of the wedding dance party inside the rustic hall of the restaurant.